"Some Forerunners of the Newspaper in England, 1476-1622"
Shaaber returned to the University of Pennsylvania in 1922, again as an Instructor in English, and earned an A.M. (1924) and a Ph.D. (1929) from the University. He went on to serve as an Assistant Professor of English (1934-37), Associate Professor of English (1937-42), and, finally, Professor of English (1942-68). Shaaber served terms as both the graduate chair and department chair of the English department, and was responsible for enacting a number of changes to the English curriculum. When he retired from teaching in 1968, he was honored as an Emeritus Professor of English. 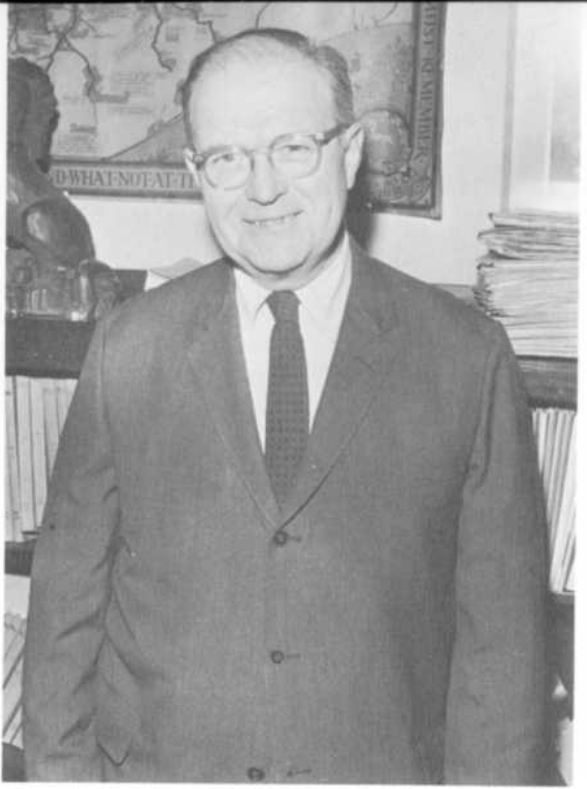 Shaaber was appointed curator of the University's Horace Howard Furness Memorial Library in 1965, a position he kept until his death more than ten years after his retirement from teaching. Susan [node:field_people_middlename] May "A History of the Criticism of "A Midsummer Night's Dream""
Sister Evelyn Joseph Mattern "A Survey of the Criticism of Shakespeare's "As You Like It""
Richard A Wetime "Identities in Crisis: A Study of Antony and Cleopatra"
Sherod Monroe Cooper, Jr. "A Stylistic Study of the Sonnets of Astrophel and Stella"
Herman Herbert Doh Jr "A Critical Edition of Fortune by Land and Sea"
David Coleman Redding "Robert Bishop's Commonplace Book: An Edition of a Seventeenth -- Century Miscellany "
James Lee Sanderson "An Edition of an Early Seventeenth Century Manuscript Collection of Poetry (Rosenbach MS. 186)"
Janet Bell Stamm "A Study of Shakespeare's Comedies"
Howard Hoover Thompson "An Edition of Two Seventeenth Century Manuscript Poetical Miscellanies"
Dale Bertrand Jonas Randall "Renaisasnce English Translations of Non-chivalric Spanish Fiction "
Robert Brenner Thornburg "A Survey of Sixteenth-Century English Religious Verse"
Ephraim Bryson Everitt "Edmund Ironside: A Modern Edition with a Descriptive Analysis "
Walter Francis Staton Jr "The Significance of the Literary Career of Thomas Nashe "
Vincent C. Flanagan "A Survey of the Life and Works of Thomas Adams"
Harold L. Stenger ""The Second Maiden's Tragedy": A Modernized Edition with an Introduction"
Paul Esmond Bennett "A Critical Edition of "A Knack to Know a Knave" "
James Roy King "A Study of the Relationship of Stylistic and Thematic Variation in Jeremy Taylor's Prose "
Charles Carroll Mish "English Prose Fiction, 1600-1642: A Survey "
Alan Fager Herr "The Elizabeth Sermon"